His long-awaited debut may be coming this fall. Billboard hosted the first annual Hot 100 Fest over the weekend. iLoveMakonnen showed up to play a set, and also reportedly announced that his debut album will be arriving in October. 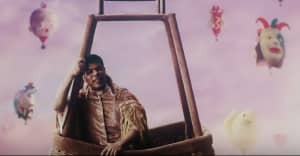 Makonnen broke into the top 20 last year with "Tuesday," but a follow-up full-length has yet to materialize. Makonnen is signed to Drake's OVO Sound label. Earlier this year, he released a new mixtape, Drink More Water 5. He also recently appeared on "All Black Hummer" with Father and the heartbroken "Why'd You Call" with L.A. hitmakers Ty Dolla $ign and DJ Mustard. Revisit FADER's feature on Makonnen, and listen to ten slept-on hits from his back catalog.